My little sister is turning 11 in two weeks, and while I’m missing her birthday (living across the country from my family strugs), the party planner in me still can’t help but daydream of how she should celebrate. As soon as I saw this fantastic cake from Coco Cake Land, I was in love. Cat Party. How great would that be? 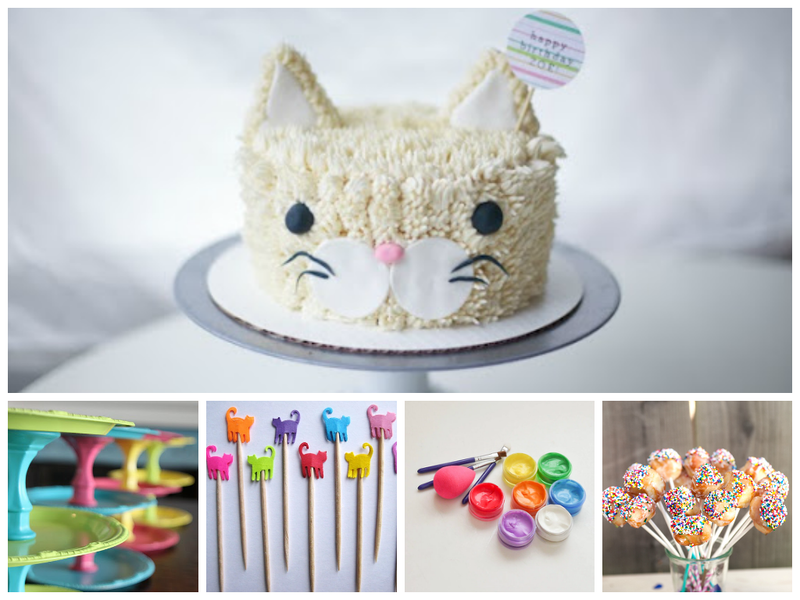 For this party, I’m thinking lots and lots of bright bright colors and just piles of desserts. Probably wouldn’t make the parents too happy, but hey, kid’s birthday parties are designed for gorging yourself on sugar. There’d be face painting (of course) and every kid would get a headband with kitty ears on it to wear.